Design of the Management Thinking blog platform. The website centred around the concept of communities. Editors from the research and event teams wrote blog entries that tied into their work, linking to valuable content or providing their opinions on topics. This created a platform for readers to engage and voice their comments. Template for a sponsorship proposal. Created in Powerpoint as it had to be easily editable by any sales person, but had to feel exciting to the potential client. A white paper report by the EIU, sponsored by BNY Mellon. The report was on insurers and society, and how regulation affects the insurance industry's ability to fulfill it's role. The report was commissioned in response to the Solvency II regulations. 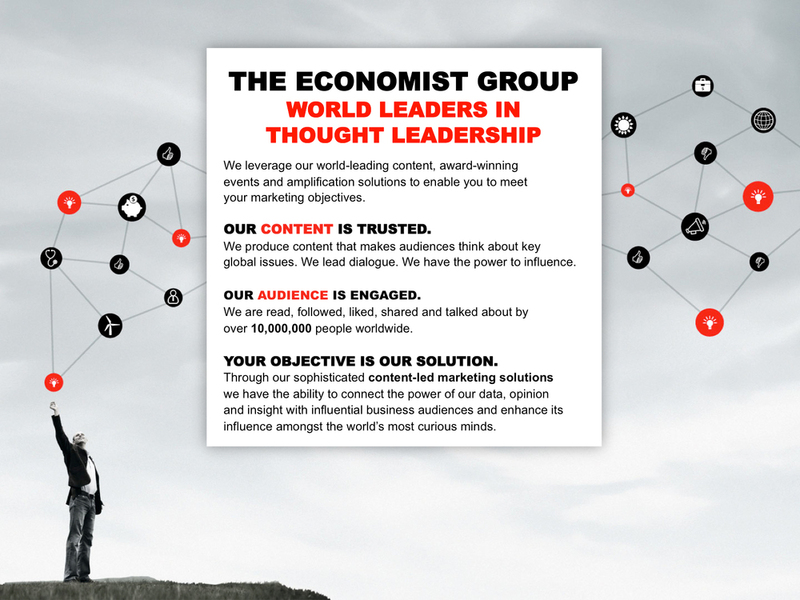 Branding and design for Thought Leadership and Events, a division of The Economist Group. They provide intelligent content to connect curious minds. They do this through events, research, surveys and by engaging with business communities who are intellectually curious. 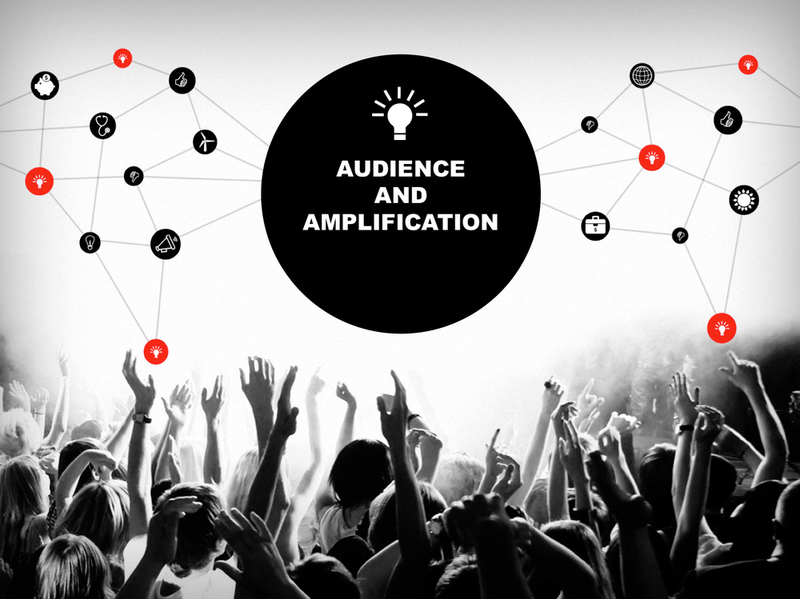 The two main functions are The Economist Events (events, conferences, summits, wavecasts, debates, webinars, meetings, lectures) and the Economist Intelligence Unit (surveys, research, white papers, data, documentaries).